This original Triple Twist Glasses Holder, is a luxurious loop made of solid sterling silver. 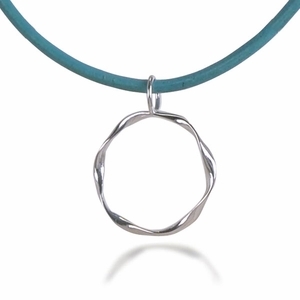 The silver pendant makes 3 twists around a circle, giving it a striking shape. But the real twist is in how you can use it. Pure jewelry, eyeglass holder, or sunglass holder. 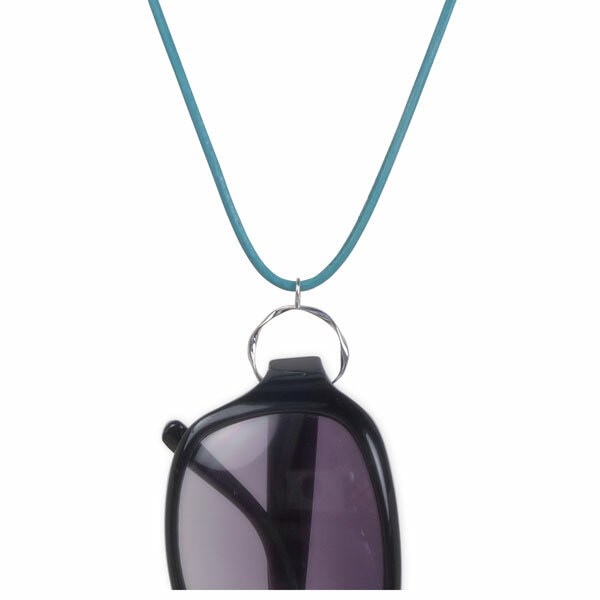 While wearing glasses, it's simply a lovely sterling silver necklace. And when those glasses aren't needed, it's a sophisticated way to keep them nearby. The triple twist loop is crafted from solid sterling silver. The opening is 30mm diameter (roughly 1" wide). 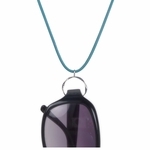 Perfect for fitting most reading glasses or sunglasses through the loop. The cord is made of blue leather. It's adjustable in length, so it will fit anyone, and can be worn either long or short. The Triple Twist is an original design, copyrighted by Richard W Berman. It's only available at Architects Touch!